Professor Philip is Head of Department of Bioscience in the School of Science and Technology at NTU where research embedded teaching is key to its continued success and its development. The department has a clear mandate for excellence in research endeavour. At the last government research assessment exercise, 14% of biosciences research was classed as world leading (4 star rated research) with the remaining 76% classed as internationally excellence (achieving 3 star research status). This excellence in research is coupled with the outstanding delivery of excellence in education as noted by biosciences National Student Satisfaction ratings by students as well as achieving gold in the government’s teaching excellence framework assessment (TEF).Professor Philip McTernan is an international leading figure in research into obesity and type 2 diabetes. His research efforts into obesity and type 2 diabetes mellitus (T2DM) is reflected in over 100+ original publications, awards with over 8000 citation and a H-index of 47. His research casts light on how human body fat distribution increases the risk of diabetes and cardiovascular disease and interventions to prevent, reduce and manage such diseases. 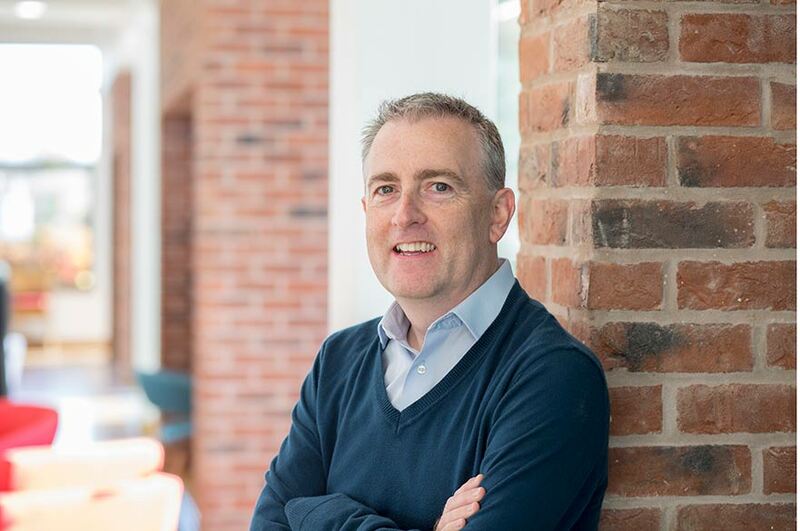 Over the last 15 years Professor Philip McTernan has successfully led on a variety of education and research programmes at the University of Warwick (UoW) coupled with delivering a number of high-profile administrative roles. Appointed as lecturer at Warwick Medical School (WMS) in 2003, following a RCUK fellowship at University of Birmingham, Department of Medicine, Philip continued his research success being awarded the European Association for the Study of Obesity Award ‘for Recognition of Outstanding Scientific Contribution to the field of Obesity’ and several subsequent awards in Warwick. His research has been funded by, RCUK, EU, local charities, and industry, with training more than 30+ PhD/MD students, within his research team to date and producing over 100 peer reviewed publications. In education Philip, undertook roles as Phase I Coordinator for WMS MBChB for 3 years (2007-2010), Widening Participation lead for UoW gifted and talented programmes, NAGTY and subsequently IGGY (2008-2017). In 2014, Philip took up the strategic role as Head of Postgraduate Research Degree Studies and concurrently acting as Deputy Academic Director of Graduate Studies for the University. This Deputy role was a key supporting role in the delivery of Postgraduate (PG) Education (PGT & PGR) across the University (30 departments), supporting to set PG strategy and deliver educational excellence. Professor Philip McTernan’s programme of research involves collaborations across universities and centres in the UK and abroad. The aim of the programme is to reduce the burden of obesity related metabolic and cardiovascular complications, in particular, type 2 diabetes mellitus T2DM. The output from his research is reflected in over 100+ original publications and several awards over the last 17 years. His research work has cast light on the molecular basis of body fat distribution and the inflammatory molecular mechanisms linking human abdominal obesity to its metabolic and cardiovascular sequelae which fit well with the current NTU research focus. Recent work has also explored how nutritional and surgical intervention strategies can be employed to reduce the burden of metabolic disease and inflammation as impact cases. Professor Philip McTernan is currently working with both global and international industries and research programmes in the deployment of physical intervention programmes. Philip reviews for multiple international leading research journals, as well as acting as advisory editor for Clinical Sciences and Section Editor for BMC Obesity. Philip is also a Visiting Professor for King Saud University and has developed research programmes in the Middle East. Since 2000, Philip has secured several research grants from RCUK, charities as well as research commercial income from pharmaceutical companies which has generated a total income stream of over £3.35 million in funding. This funding excludes the Science City translational Medicine Award of £20 million for which this was a consortium led bid to deliver outputs on this partnership between Advantage West Midlands, Warwick and Birmingham University. The income generated has contributed to the development of key research areas. 1. Obesity and CVD Health Award 2010, Association for the Study of Obesity. 2. PhD Student, Kirsty McGee, awarded Best Basic Science Research at UK Adipose Tissue Meeting, Surrey, UK 2007. 3. PhD Student, Christine Kusminski, awarded Best Basic Science Research Student from Association for the Study of Obesity (ASO) 2006. 4. A-level Student, Lauren Ewington, Awarded the West Midlands Gold Crest Award from the Nuffield Foundation for Lab Based Basic Science Research 2005. 5. University of Warwick, Merit Award 2004, 2010. 6. European Association for the Study of Obesity ‘Research Investigator Award in Recognition for Outstanding Scientific Contribution to the field of Obesity’ 2004, Basic Research Award. 7. Association for the Study of Obesity, ‘Research Investigator Award for Outstanding Contribution to the field of Obesity’, 2004, Basic Research Award. 8. Novartis Award for Best abstract submission to the British Endocrine Society, 2003. Award winning abstract. 84th American Endocrine Society Annual Meeting, 2002.
Review for Diabetes, Diabetes Care, Diabetelogia, Clinical Endocrinology, Journal of Clinical Endocrinology and Metabolism, Circulation, American Journal of Physiology E&M, European Heart Journal, Obesity Research, International Journal of Obesity & Related Metabolic Disorders, Journal of Metabolic & Hormone Research, Journal of Endocrinology, British Journal of Pharmacology, Cardiovascular Diabetology, Clinical Chemistry, Lancet, BMC Medicine. Main Board Grant Reviewing Panel for Diabetes UK, acted on the Diabetes UK RD Lawrence Fellowships Panel; Diabetes UK PhD Studentship Panel; Wellcome Trust, MRC Fellowships, BHF Project Grants, Heart UK as well as, BBSRC Project Grants, Eli Lilly UK Research Proposals. ADA Abstract Reviewer, Telethon Peer Review System. British Endocrine Society Judge Obesity, Diabetes and CVD 2011-to date. EASD Chairman Adipose Tissue Track 2010. Science Foundation of Ireland, Chair to Review programme Grant. Prof Nasser Aldgahri (KSU, Saudi Arabia), Professor Omar Al-Attas (KSU, Saudi Arabia), Professor Antony Barnett (Birmingham, UK), Dr Lena Carlsson (Sweden), Dr George Valsamakis (Greece), Professor Chris Day (Newcastle, UK), Dr Wasim Hanif (Birmingham, UK), Dr Kamlesh Kunti (Leicester UK), Dr Cecillia Invitti, (Italy), Mr Bob Bosner (CT Surgeon, (Birmingham, UK), Mr Paul Levick (GI Surgeon, Birmingham, UK), Professor Philipp Scherer (US Dallas), Dr Per Arne Svensson (University of Gotherburg, Sweden), Prof Melanie Davies (Leicester, UK), Dr Mohsen Shahmanesh (Birmingham, UK), Mr Domenico Pagano (CT Surgeon, (Birmingham, UK), Dr Anton Tonchev (Bulgaria), Prof John Clapham (Buckingham, UK), Prof Jan Oscarsson (AZ Sweden), Dr Alistair Brown (Heptares, UK), Dr Jeremy Tomlinson (Oxford, UK), Dr Guy Vergeres (Switzerland); Dr Paul Cotter (Cork, Ireland). 1. Festival of Imagination Warwick Art Centre Live Stage Show entitled: Fat the Good the Bad the Ugly, with Adam Bennett and Philip McTernan. Nov 2015. 2. Food unwrapped (shown on Channel 4 Jan 2015) presenting the importance of metabolic rate on health. 3. CBBC 'Operation Ouch' (shown on BBC October 2013, 6-13yr plus parents), presenting the role of adipose tissue in the body. 5. Interviewed by Local Radio: BBC Coventry and Warwickshire (2012) and during Science Week (2013). 6. Interviewed by Diabetes Radio (2012); accessible to download or listen. 7. Daily Mail article: ‘how gender determines our fat distribution’ (2012).